Ich kenne keine Parteien mehr? 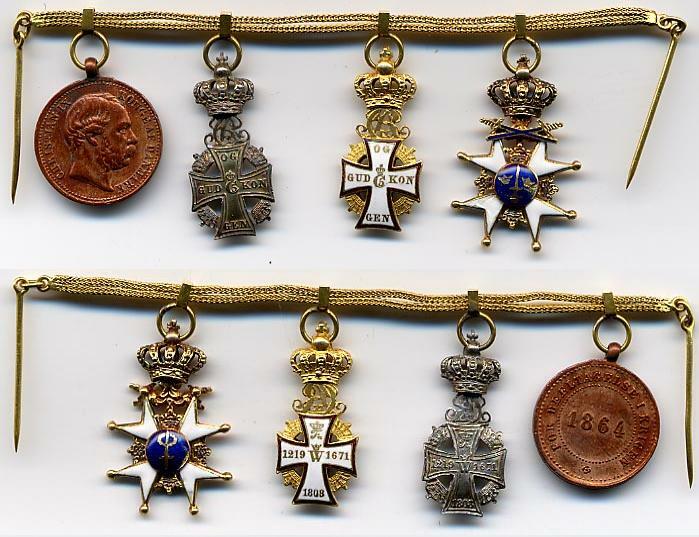 The WW1 War decorations from the various German states are often encountered in the 16mm version for wear on chain, but what about the 16mm version as a stickpin? 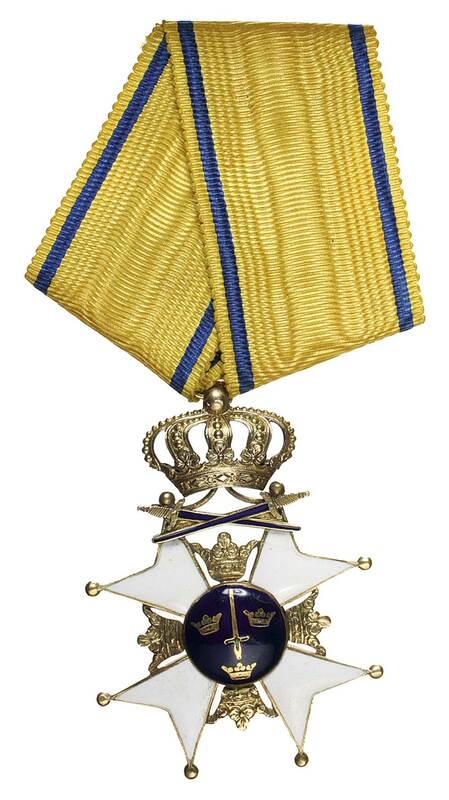 Other than the common EK1, I only have the Anhalt Friedrich-Kreuz, which apparently is a non-official decoration. A well worn Preussia/Saxony combo. Too bad about the rather amateurish attempt to restore the blue border. Thanks Elmer, that's a little bit better. Nevertheless, I like this little creature. Hi Elmer, Thanks for a most educational elaboration. Given the similar appearance, I assume this enamelled miniature (27,33x14,34mm) is also a post-45 piece? US Spanish Campaign Medal-Army. 1898. Many thanks for a most illuminating thread. Here are two more with a slightly more pronounced bronze colour, the Philippine Insurrection No 19340 and the War with Spain No 7051. The Spanish War Service Medal (30594) unfortunately lacks the ribbon and is more shiny compared to the ones illustrated here. Although the details are fairly nice, the portion with stars above the eagle's head are merely dots. Perhaps a later minting? Nice catch Lars! Is the mini silver or gilded, difficult to tell from the image. Here are a few more of the same type, the non-portable medal is Crownprince Karl (Karl XIV 1818). I also found one mini in my files dedicated specifically for him. Wow, thanks Don, that's a beautiful document!! Hi Joe, Long time no hear. Unfortunately there is no reference to a time-period. I think the protection/defence aspect seems plausible, the design resembles a house (bau), which is perfect for the above. With respect for the copyright I choose to illustrate the 2nd version with a rough drawing (Rembrandt would turn in his grave!). 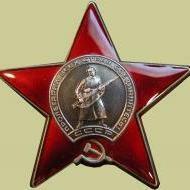 Hi Robert, Freely translated this pin reads Economygroup Buildingindustry of the Stategroup Industry (wow). The 2nd version is also illustrated in Hüsken's book "Abzeichen deutscher Organisationen". I beieve an old 1850 Model. I'll look into this tomorrow and get back to you. You've really opened up a can of questions, but I've contacted one of the authorities on the Royal Order Kansli and he gave me a quick heads up one the various models. First of all, the categories referred to in Künke's catalogue is not correct i.e. the Order being instituted in 1772 and being the 2nd model. The presumption that this Order originates from the "Swordsknightorder" of Livland instituted 1197 is from a Swdish publication from the 15th century and this story has been cut and pasted through out the years. 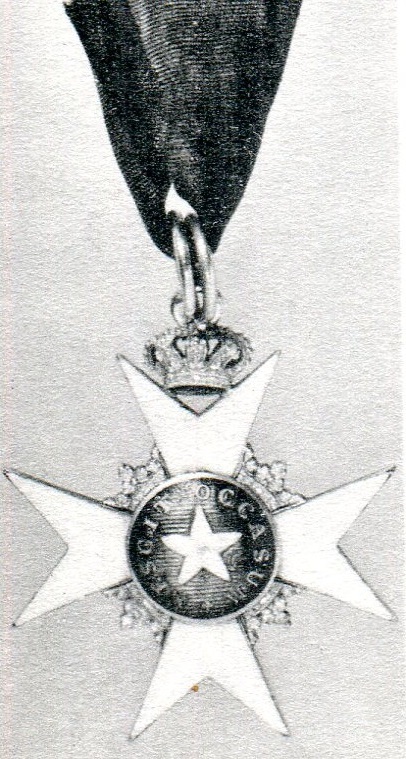 The Order of the Sword was instituted 1748 and the first type had a small crown between the cross arms (image#1, I had to use a Northstar for illustration). 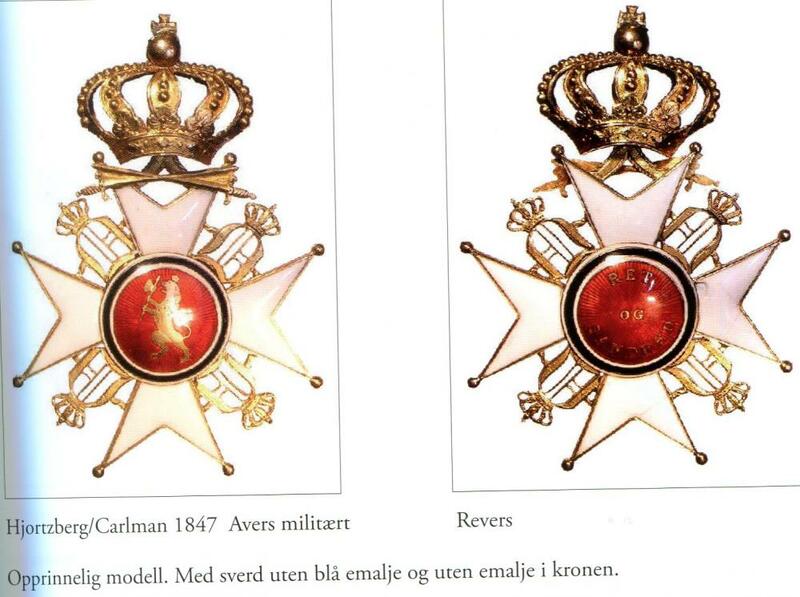 Around 1802 a larger crown was adopted and placed above the tips of the cross arms on a scharnier (image #2). I'll get additional info from my source, but apparently there were about 8 different designs between 1802 and 1832. The transformation to a different crown attached with a built in hinge on an ornamented "holder"?) occured in 1860 and the balls on the edges of the arms 1856 (image #3), although these balls have been found on earlier pieces as well. There were also tiny enamel dots on the crown. So where does that leave your cross? If we look at the crown it's a dead-ringer for the crown found on the 1847 Olov Orden. Well, IMHO your conclusion seems to place it around 1850, but I'll forward the image and see what I can find out. Joe, pin for civilian wear, active LW personnel. The silver version was for "Luftnachrichtenhelferinnen"